There’s no better way to start the first day of school ever than with a kiss from mom. Gryffin Hanson, 5, and her mom, Briley Hanson, share the moment Thursday morning as the first day of school at St. Edmond Catholic School gets going. Hanson is a kindergarten student this year. Ella Jones gets her first day of kindergarten picture taken by her mom, Allie Thompson, as her dad, Chris Jones, watches at St. Edmond Catholic School. 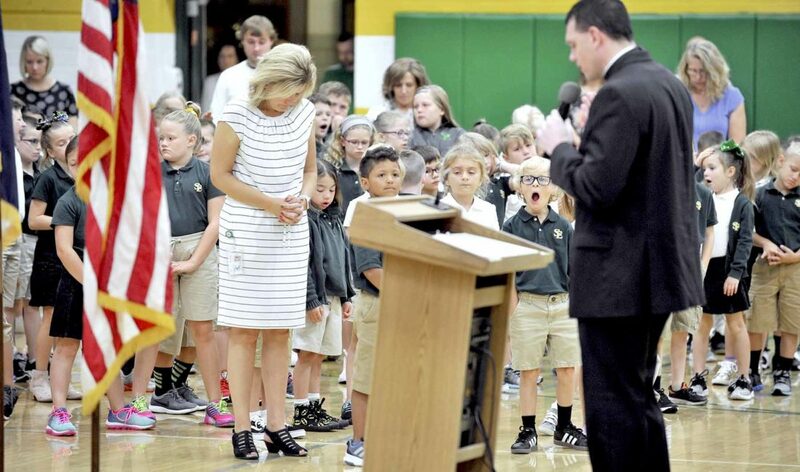 Benjamin Tofilon joins his classmates at St. Edmond Catholic School during a morning blessing on the first day of school there. St. Edmond Catholic School kindergarten teacher Rita Engh opens up a package of empty containers for her student to put their crayons and pencil into Thursday morning as the first day of school gets under way. Rev. 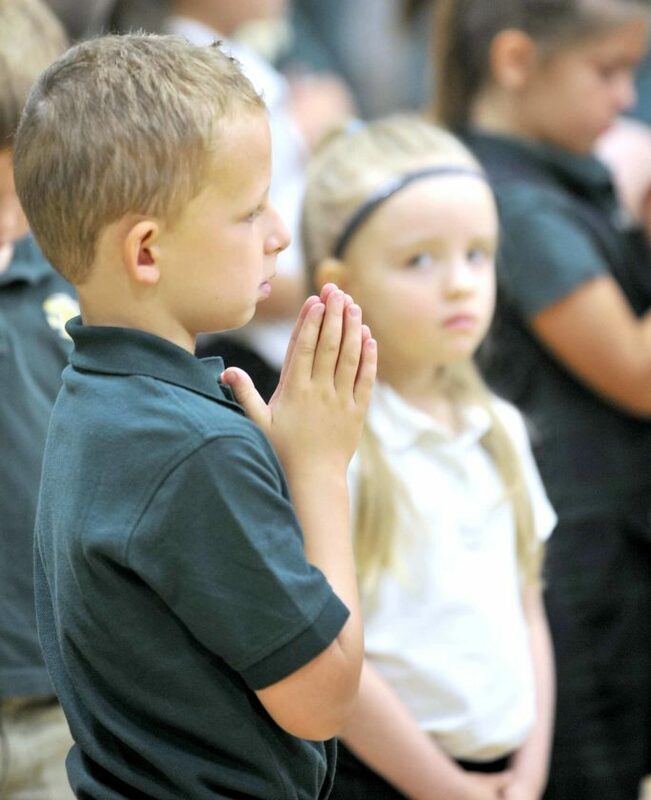 Patrick Behm leads a prayer Thursday morning as the first day of school gets under way at St. Edmond Catholic School. 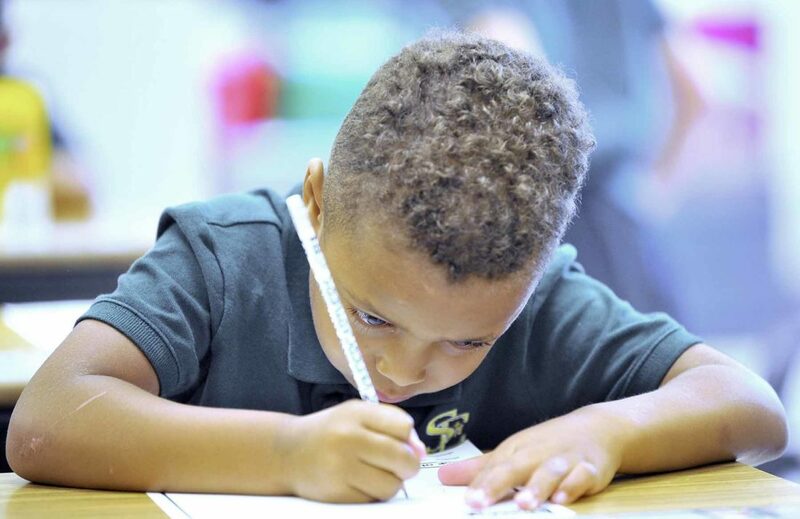 Braylon Rock, 5, concentrates on drawing a picture of his family Thursday morning as his kindergarten class gets started at St. Edmond Catholic School. 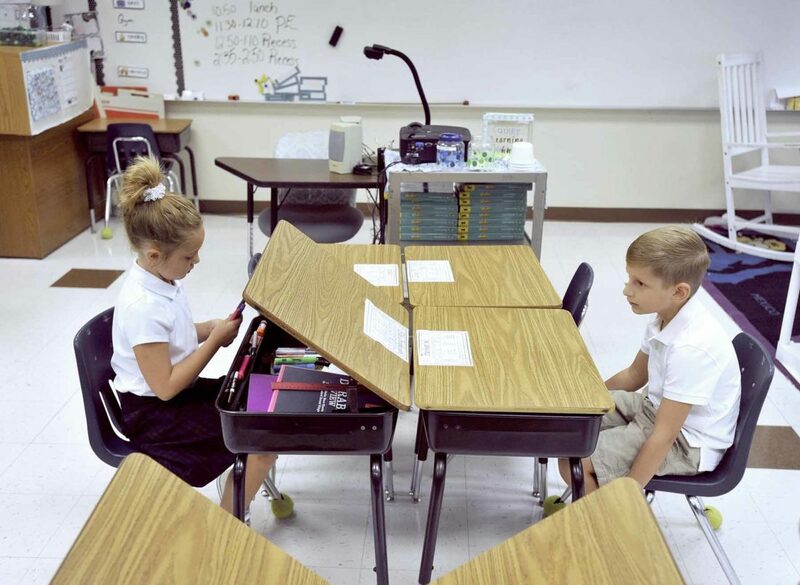 Ella Christiansen, at left, sorts though her markers as Parker Webb, right, waits for their class to start Thursday morning at St. Edmond Catholic School. 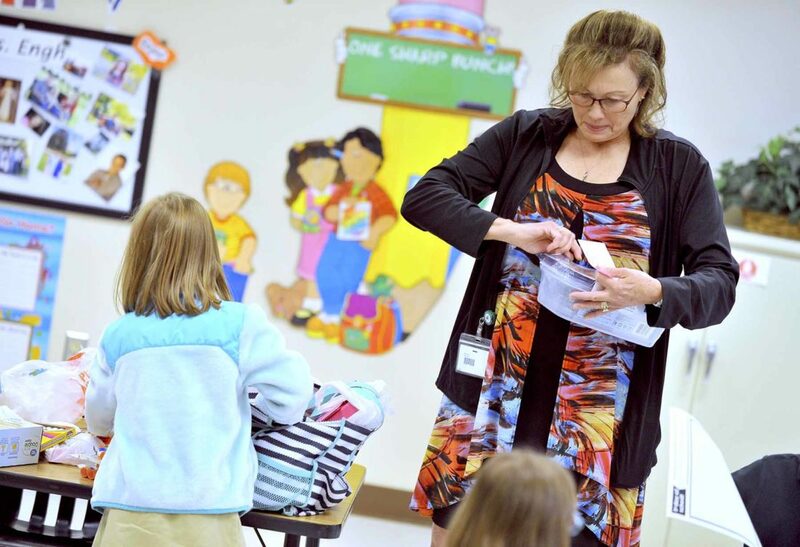 St. Edmond Elementary School kindergarten teacher Rita Engh had something in common with her students Thursday morning as school started for the year. It was their first day of school. It was her first day teaching kindergarten at St. Edmond. While she brings many years of teaching experience with her, there’s still a few of those first-day butterflies. The day started with an assembly after the first 8:05 a.m. bell. Until then, she kept her students busy putting away supplies in their desks and drawing a picture of their family. It was a period filled with fun and random observations from the students. 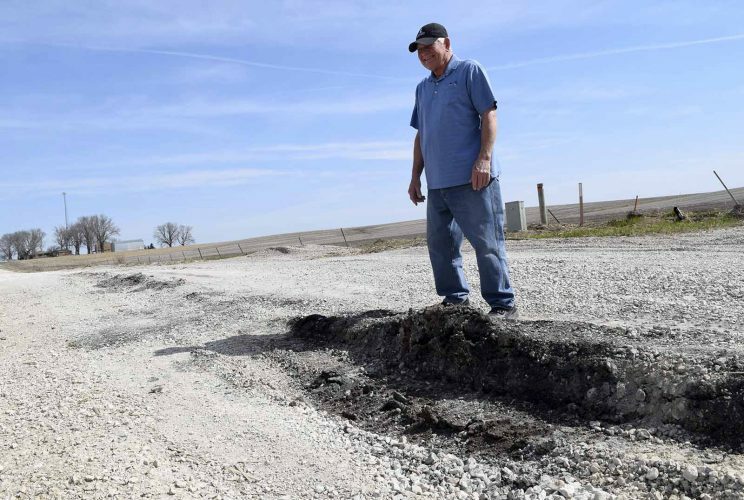 “I have to go potty,” one said. “I don’t have a pencil,” added another. “After day care I got a haircut,” came a third. One student remembered something very important before he spoke. “I love how Jackson raised his hand.” Engh said. Another student, Maurynn Grell, 5, had trouble with an important school supply item. “I don’t know where my crayons are.” she said. Engh was ready for that. “Let’s find them, shall we.” she said. After helping to locate Grell’s crayons, it was on to another item. “Would you like hot or cold lunch today,” she asked one of them. “This is hot,” she said holding up a stick with a red tag, “This is cold,” she said showing off a stick with a blue tag. As the time came to walk neatly and quietly to the gym for the assembly, several of her students got in line by the door. She explained the hall rules. One student had one final thought before they filed down the hall. “Can I tell you something,” she asked. Ella Christiansen, who was experiencing her first day of second-grade, had some advice for the kindergarten students. Briley Hanson was among the many parents that accompanied their new kindergarten student into the classroom. Her daughter, Gryffin Hanson, 5, got a nice kiss from mom before class started. One of the things Hanson and many other parents appreciate about school starting up is getting back into a set routine during the week. That includes Allie Thompson, who was seeing her daughter Ella Jones start kindergarten Thursday, too. 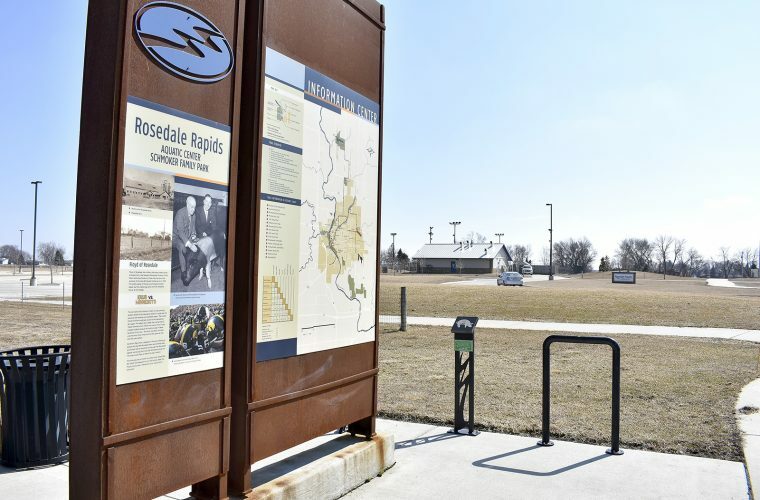 “I’m excited for her to get back into a routine,” Thompson said. Braylon Rock, who’s a very proud 5 1/2, is looking forward to another part of each day’s routine this year, too.